There is easy access to electronics on this console with an open center with two adjustable shelves. Two doors with butterfly joinery flank each side; the right door opens to reveal two adjustable shelves and a single adjustable shelf is on the left. 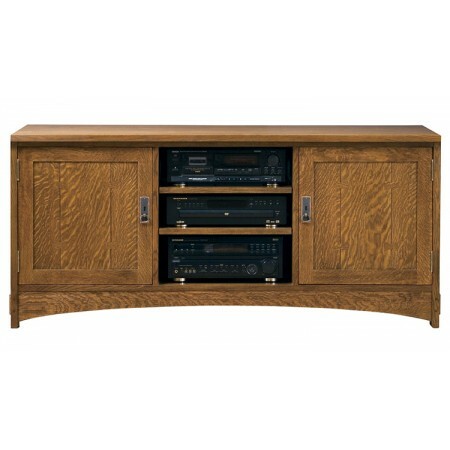 Can be bunched with bookcase units to form an entertainment center. Dark copper hardware on oak, light copper hardware on cherry. Available in solid oak or cherry.